Epic Games has began to tease the Tender Defender skin’s release on Twitter! An official date has yet to be announced, though we can expect to see it in the Item Shop very soon. An 8 year old kid’s dream is becoming a reality as in-game teasers and leaks confirm that the Tender Defender skin is coming to Fortnite! 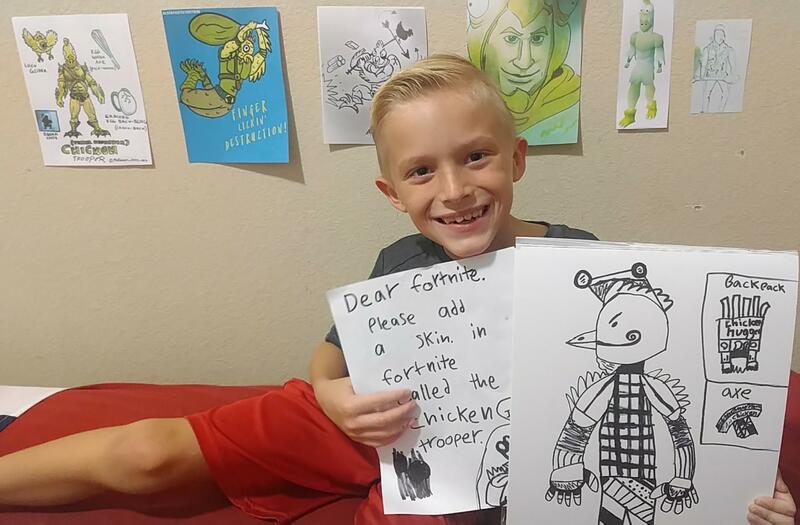 On September 12th Redditor and father /u/tfoust10 posted a photo of his son Connor’s request to Fortnite to add a Chicken Trooper (alternatively named Tender Defender) skin to Fortnite. The post amassed 40,000 Upvotes and reached the front page. Fans pleaded with Epic Games to bring the concept to life, even going as far to create their own higher-quality concepts of what the skin may look like. 2 days later the father followed up to show how thrilled Connor was and thank them for their support. 2 months have passed since the Chicken Trooper craze and it seems Epic Games has listened! What appears to be the Chicken Trooper’s hideout can be found in a watch tower in Lonely Lodge. Accompanying a sleeping bag are chicken feathers and cooked chicken legs. Patch v6.30 brings the addition of many new cosmetics which have yet to be released. Amongst those an unfinished skin has been discovered – its filename? Tender_Defender. 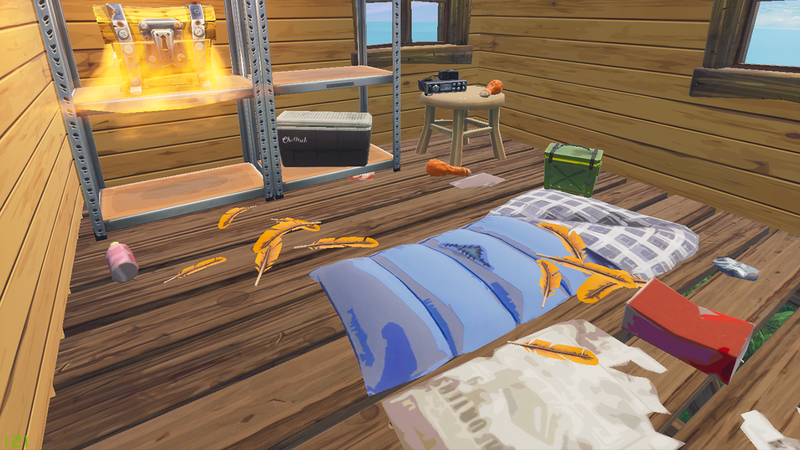 On top of this, a Chicken Glider and Whisk Pickaxe have been discovered amongst the new cosmetic assets. These items resemble exactly what can be seen in Connor’s concept. 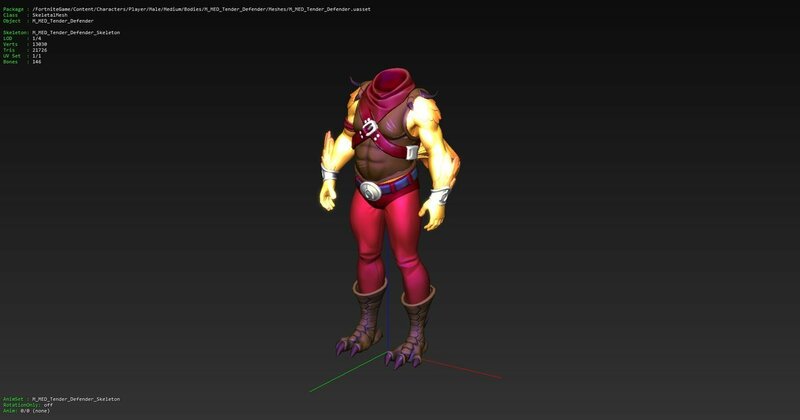 Lastly, the Redditor who created the concept used as reference when creating the skin has confirmed that Epic Games reached out for permission to use his creation. …I am super happy for Connor. His concept is really becoming reality it seems. Thanks for all the artists who took his original drawing and built there chicken troopers off of his concept. There is no bigger compliment. Thanks to the redditors of this forum who stood behind a young boys idea and uplifted him. Stay tuned for an official announcement and release of the Tender Defender skin!